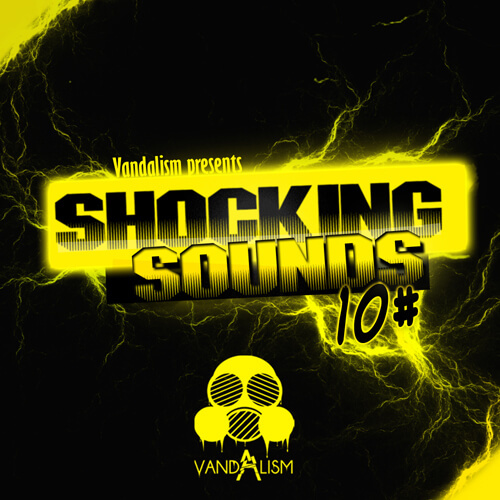 ‘Shocking Sounds 10’ is the continuation of this must-have series from Vandalism and includes 80 Sylenth1 presets for House, Progressive, Pop, Complextro, Dance, Commercial and Minimal genres. Vandalism, being inspired by top artists like Hardwell, W&W, Krewella, Nicky Romero, Tommy Trash, DVBBS, Borgeous, Basto, Tiesto, DJ Punish, Baggi Begovic, Calvin Harris, Afrojack, Remady & Manu-L, Dimitri Vegas & Like Mike, John De Sohn, Pleasurekraft, Mike Candys, Sander Van Doorn, Nari & Milani, Laidback Luke, TJR, Danny Avila, Vicetone, Rehab, Blasterjaxx, Goldfish & Blink, Burns,TV Noise, Julian Jordan and many more, brings you the most amazing soundbank ever. Make sure to check out the other products from Vandalism, especially ‘The Progressive’!